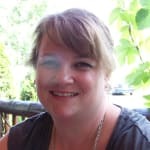 "A nice community with lots to offer. A small city combined with lots of nature!" I dont live in the heart of beacon but I live within the school district and I am always in beacon. For the most part, everyone who critiques beacon, doesnt live in beacon and doesnt understand the real experience. Now I attend Beacon High school and I honestly LOVE IT. 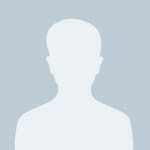 Its a small enough school where everyone knows everyone, even though we aree not all close to each other. I personally like the teachers and feel they are misunderstood by other teachers because they work in Beacon. 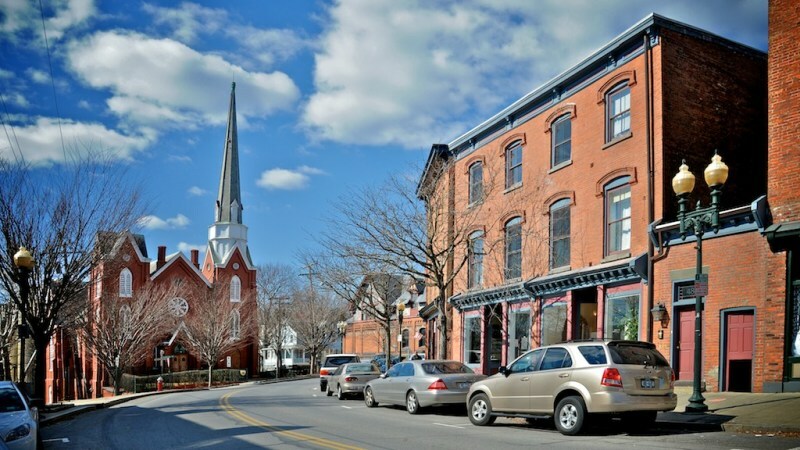 Beacon has a lot to offer and if you want the beacon experience without the Beacon cost of living, live in a suburb like I do: (example: parts of Fishkill and Wappingers) Youre literally within a couple minutes drive. Beacon has changed dramatically within the last 10-15 years and I am very excited to see what beacon has to offer in another 10. The only thing I dislike is the city people moving into beacon. They move up here for a city life that isnt in NYC. Beacon is not the new Brooklyn and is not intended to be. Within a couple years if this continues, all the Beaconites will have to leave and a new NYC will soon take over. Beacon is a small town that sounds like Bacon. It gets you started on a solid foot. 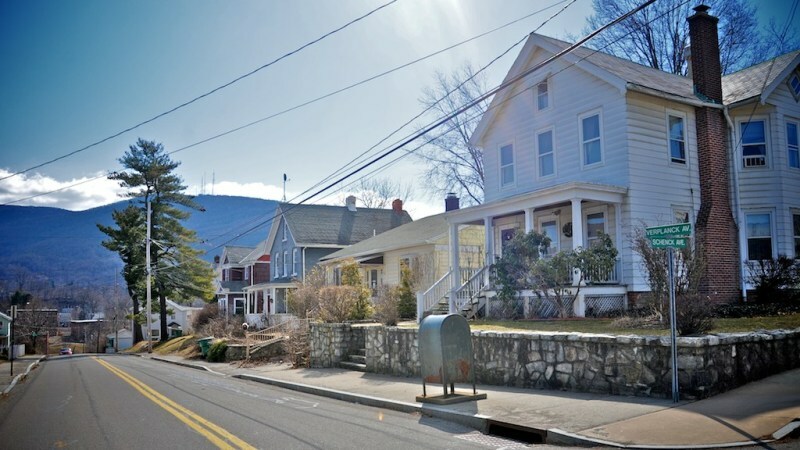 Beacon is walkable and tightly knit. Because it is affordable and rests between mountains and the river it has a great balance. Our neighborhood welcomed us warmly. We have people who are caring and open. They love their community and they want you to love it as well. Every weekend hikers pass our porch and ask how to get into town. We have a vibrant weekend life for people of all ages and neighborhoods that are perfect for kids to ride bikes to each others houses. City people are driving out locals but if you move here, say hello to people you don't know and keep the community spirit positive. "Don't judge Beacon based on the city transplants!!" Navite Beaconites are happy about most of the positive changes in Beacon, but are not happy with the fact that we are constantly being compared to Brooklyn. We don't feel this way, the influx of people from the city that are moving in are the ones trying to change Beacon and real estate agents trying to advertise Beacon as the "new Brooklyn", and they are both pricing the natives out! There are lovely places, people and things in Beacon, but the lack of respect shown to Beaconites by these transplanters is abundant. Rental prices are some of the highest around. 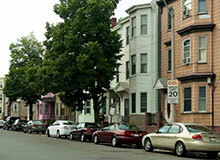 You could locate a comparable apartment in a neighboring town for less with more. Although the town is dog friendly, just try to find a landlord that is! What people see on the surface of our town, is not how most native Beaconites view/feel things. "Beacon, just ok...not that great!" Don't believe the hype because that's all this town is based on. What it wants to be and what it actually is are completely different. It wants to be Brooklyn so the rents and majority of restaurants are priced as such. Here's the thing..it's not Brooklyn and never will be. Stick to what you know Beacon. Stop over charging your residents for nonsense. If you want to visit for a day...you're better off. Do yourself a favor and find another town to live in. It does have a few nice parks but that's as good as it gets here. Many snooty unfriendly hipsters have moved in and it is not that pleasurable living amongst them. You're welcome. CathieM While I absolutely agree with your statement, it is important to also note: Navite Beaconites are happy about some of the positive changes in Beacon, but are not happy with the fact that we are constantly being compared to Brooklyn. We don't feel this way, the influx of people from the city that are moving in are the ones trying to change Beacon, and they are pricing the natives out! Beacon is a pretty irresistible place. More funky then Cold Spring but less gritty then Newburgh, it’s more like a small city neighborhood surrounded by Hudson Valley beauty and dotted with lovely old Victorian houses. 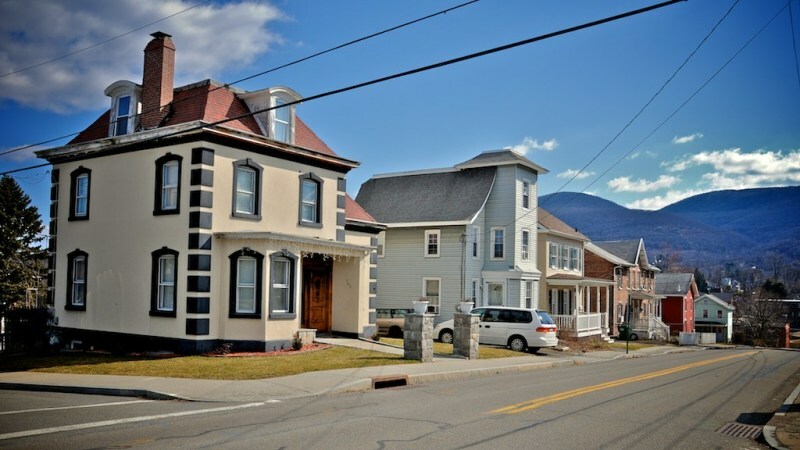 Its neighborhoods vary – some houses are wonderfully kept up and restored, while others look like a good wind would blow them over – which is part of Beacon’s appeal. Dia Beacon opened in 2003, which started the town’s resurgence and made it a destination point for artists. The enormous gallery houses a huge collection of artwork, all ranging from the 1960’s to the present. Although some of the pieces may cause you to scratch your head (like the set of metal bleachers entitled “Bleachers”) you dare not laugh, as there is a squadron of black-clad, headphoned young art guards who will reprimand you. I’m not kidding. Thanks to Dia, all kinds of artists have flocked here and set up shop. One you must check out is the Russell Cusick Gallery at the Spire Studios, which are on the same side of 9D as Dia. This artist creates breathtaking photo-acrylic land- and cityscapes, and can even turn your photo into a piece of artwork that looks like an incredibly detailed painting. His gorgeous Hudson Valley panoramics always remind residents of why we love to live here, and he also - as a sideline - creates some of the funniest refrigerator magnets I've ever seen. 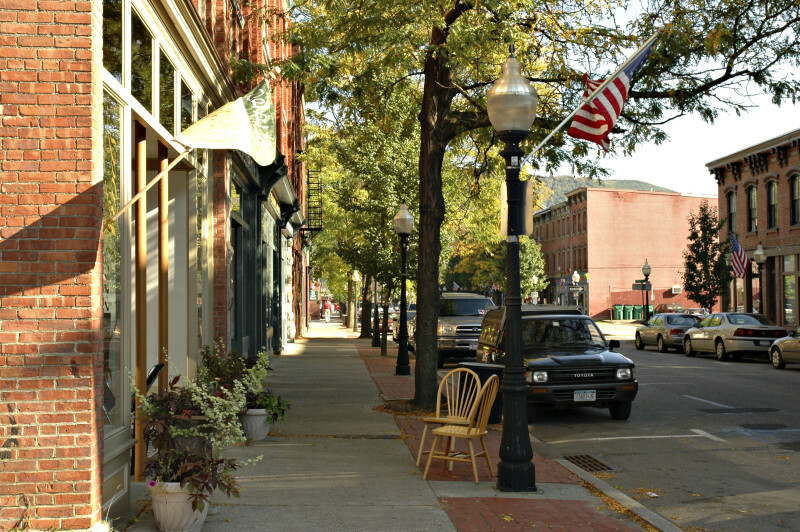 Beacon’s Main Street is lined with shops and restaurants. As someone who hates to shop, I can attest that some of these cool little stores can even entice me inside. A few of its restaurants are excellent, and the prices vary. My favorite is Isamu, a Japanese place with great food at a reasonable price. There are bars in town, including Joe’s Irish pub, which is just like it sounds, and Chill Bar, which will make you swear you’re in Manhattan. 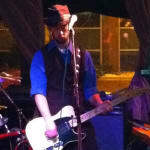 You also can find live music on a regular basis. Beacon has a wonderful event called Second Saturday, where the shops and art galleries stay open late. Often they serve wine and snacks, and the entire town turns into an open party. You can stroll from place to place, chat with the artists, meet up with friends, and grab some dinner afterward. Mount Beacon used to have its own cable car, which was built in 1902, stopped working in 1978, and was destroyed by fire in 1983. It’s on the Register of Historic Places, and Scenic Hudson, which owns Mount Beacon Park, is trying to restore it; but for now, Mount Beacon is a beautiful hike, with wonderful views at the top. Residents (as well as those from neighboring towns) are rabid Hudson Valley Renegades fans. Affiliated with the Tampa Bay Rays, this small ball club has sent a dozen players to the majors, and there is always between-inning entertainment and lots of enthusiasm. The Dutchess Stadium is in Fishkill, only two miles from the center of Beacon. Another fun trip is to Bannerman’s Island, less than a ten minute drive. It is home to a ruined Scottish castle, built by an arms dealer in 1901 in order to store his arsenal. In 1920, 200 tons of shells and powder exploded, doing a number on the castle and providing inspiration for the ghost stories that continue to this day. Now you can take a tour of the place, and enjoy boxed lunches and live music. Fun and funky, Beacon is well worth a visit. Beacon is an interesting place. Located on the Hudson River, the city played a variety of important roles during the Revolutionary War when it was an arms manufacturer, a fort and a signaling point. In fact, the city is named for the signal fires, or beacons, that would be built on the nearby mountain. For a while during 1800s the city was a major factory community, with over 500 hat factories all in operation at once. The city is now in the midst of an artistic rebirth, spearheaded by the opening of Dia: Beacon in 2003. The former printing plant is now one of the world's largest contemporary art museums, featuring large installations. Dia: Beacon also hosts gallery talks, dance events and educational programs. This injection of modern art has also lead to several independent art galleries and studios popping up down the length of Main Street in Beacon. Along with the galleries came boutiques, antique stores and cafes. There are also several really outstanding restaurants. The view from Beacon also should not go unmentioned. 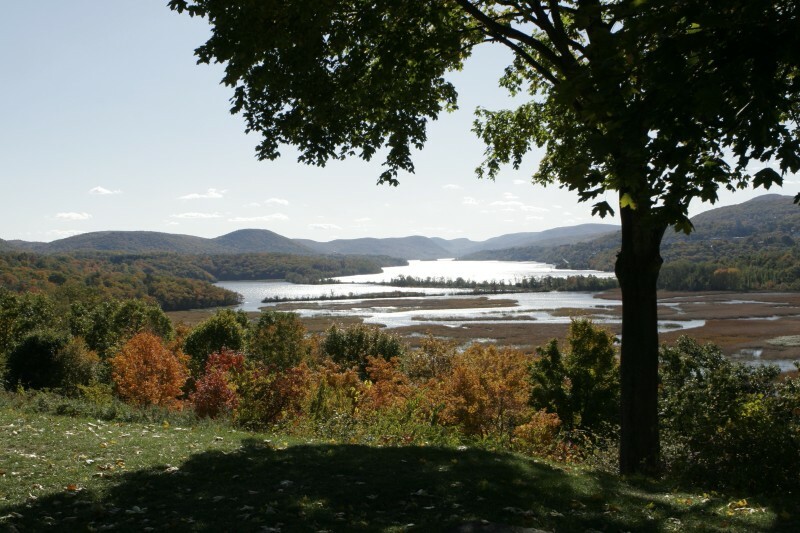 There are several parks that run directly along-side the river or just offer an incredible view of the Hudson River Valley, which itself has been the focus of many artists' entire careers for good reason. 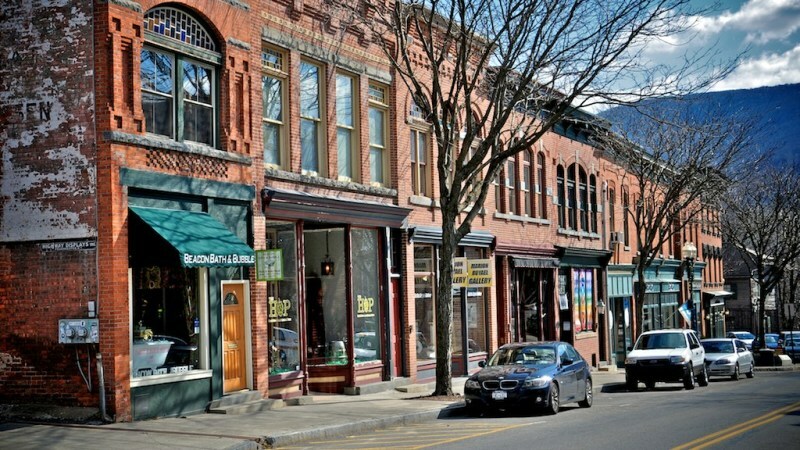 Despite this extremely trendy, artistic community growing in Beacon, there are many parts that are still a little run down. Many old factory buildings still stand, unused except for as canvas for graffiti artists. The residential areas of Beacon also suffer from the same vast inconsistencies: some are incredibly affluent while others are... not. 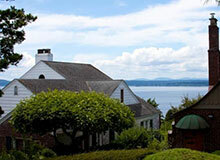 It is easy to get to and from Beacon since it's located immediately off I-84 before the Hudson River. There is also a Metro-North Railroad Station providing service to and from Grand Central Station. Beacon is a great place for young artists looking for an inspiring and stimulating environment, particularly if they having an outdoorsy leaning. 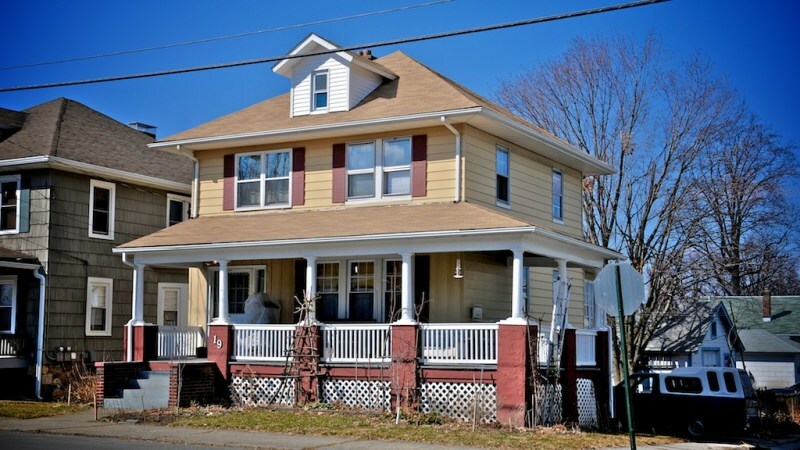 Families may find it difficult to find affordable housing in a safe neighborhood but if you can manage it, Beacon is truly unique among the neighboring towns. 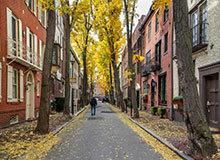 "City Life with a Country Feel"
Thinking of reasons to visit Beacon, NY? Well, if you like art and strawberries, you’re in the right place. Beacon is famous for its riverfront Strawberry Festival that happens there every June, right on the waterfront at Riverfront Park. It’s only $3 to get in, and you can hear great music performed by local folk artists, as the festival helps fund the Clearwater Organization, founded by famous folk artist, Pete Seeger. It’s said that the strawberry shortcake is the best around, and you can enjoy the great river views either walking or bicycling around town (visit Beacon Bikes for renting). You’ll love the Dia Museum for Contemporary Art, which is housed in what was once the old Nabisco factory, and now showcases some of the world’s finest art from the 60’s up to present day. 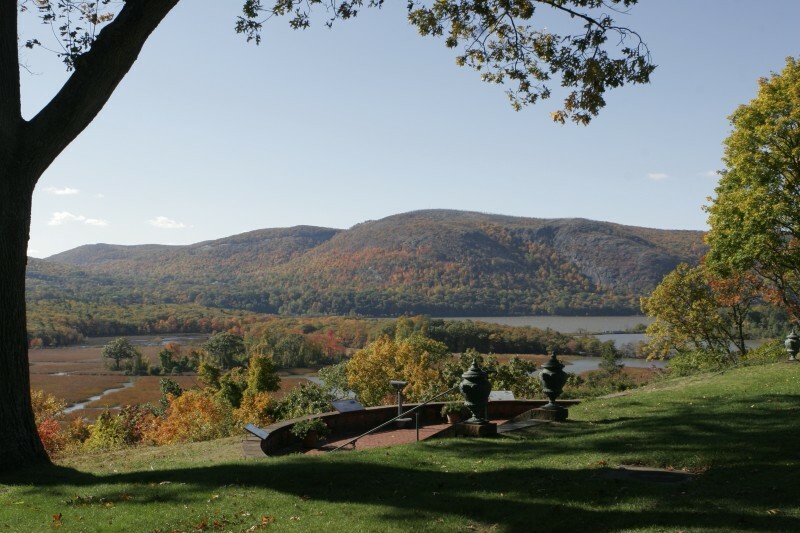 Afterwards, go for a fun family dinner at Poppy’s Burgers and Fries, or for ice cream at the Beacon Creamery, or just sit and watch the sun set over the magnificent Hudson River at any one of Beacon’s seven parks that are all over the city. (Couples in love will have a wonderful time dining on the River Terrace, or enjoy live music at Vigo’s Sip n’ Soul, a fantastic live music venue and open bar: it’s a great place to hang with your friends on any Friday or Saturday night.) 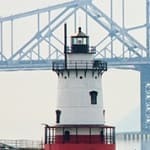 You can access Beacon easily from major roads Interstate 84 and Rt 52, and there is of course the Beacon Train Station, which is right near Riverfront Park and the Beacon Sloop Club, a clubhouse that honors old Sloops and their history, as well as that of the Hudson River, focused on the conservation efforts to keep the river flowing clean. The Sloop Club takes visitors for rides on the lovely 18th-century Sloop replica, the Woody Guthrie, where people of all ages can learn about the Hudson River, its history, and how we can keep the river beautiful and safe for the creatures who live in and around it. (That means you and me, too!) . Beacon does struggle with crime rates just like any other city in America, but it's a lot safer than many others in New York state. Housing is reasonable and affordable, too (especially for seniors and low-income families). Schools are great and there’s even mentor programs offered to ninth graders coming into high school by older teenagers who will teach them the ropes of high school life. That said, Beacon is a great place to live and a great place to visit. It’s got lots of shopping opportunities and there’s lots of great restaurants. The festivals held at Riverfront Park, like the Strawberry Festival and Corn Festival, help bring in Fall and Summer like no place else. You won’t soon forget your trip to Beacon: just take a ride on the Woody Guthrie and listen to Pete Seeger sing and play his beloved banjo in the Summer’s noonday sun, and you’ll know what I mean! 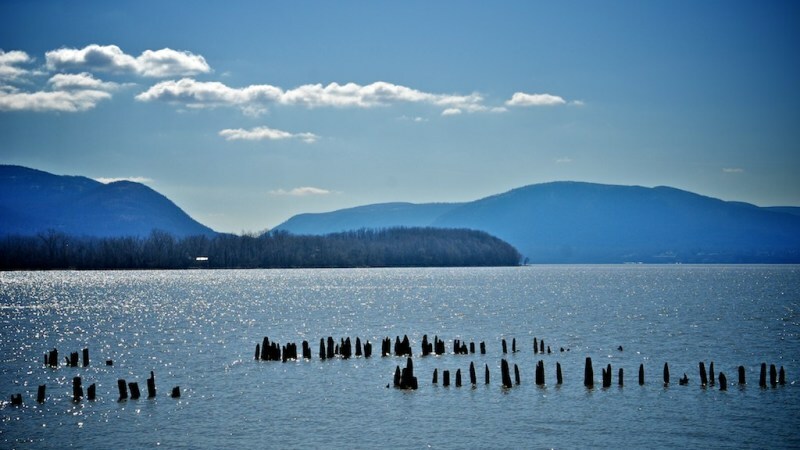 "Developing, art-friendly city on the Hudson"
Beacon is a city in the southwestern-most corner of Dutchess County, hugging the Hudson River while flanked on its south side by mountains (like the appropriately-named Mount Beacon). This city has been on the move in recent years and is becoming a more attractive location for artists and tourists. Lately, Beacon's big draw has been the Dia Art Foundation Gallery. It's located right on the banks of the Hudson and can draw a crowd. Knowing from experience, there are also a few artists/thespians I know living in the town who were drawn to it for a variety of reasons; having a place like Dia there only added to the appeal for them. As far as location, it's in a good one. 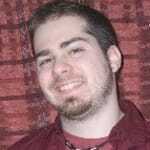 It's right near Interstate 84 and the Newburgh-Beacon Bridge while having a Metro North train station to New York City sitting right there in town. The commute down to the city won't be short, but it's doable (and plenty of residents engage in it). That's not to say there aren't some opportunities right here, however, because there are local businesses, including shops and restaurants (one in particular of which I've heard good things is River Terrace, which clearly has a view of the Hudson if you're to believe its name). 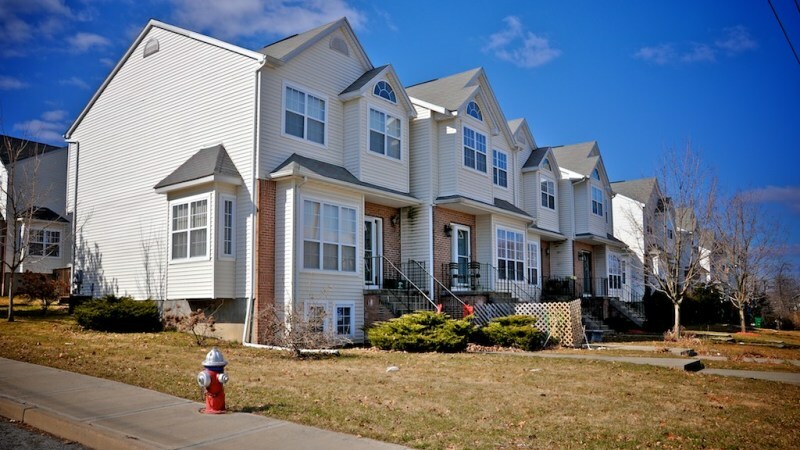 There aren't big shopping malls or anything like that here, but you will find plenty of shopping nearby in Fishkill (to the east on I-84 at the Route 9 intersection), but also about 15-20 minutes to the north in Poughkeepsie. Some of the houses here are very nice. Again, from knowing residents, I am aware that some date back to the Revolutionary War era -- and with houses that old in town, you know there's history to be found here. Indeed, there are historical markers here, and you're not far from places like West Point or Washington's Headquarters, just to name a few. Further, a little to the south (probably technically in the Town of Fishkill), those hugging the Hudson's eastern shoreline will notice quite the spectacle: the remnants of a castle on an island. 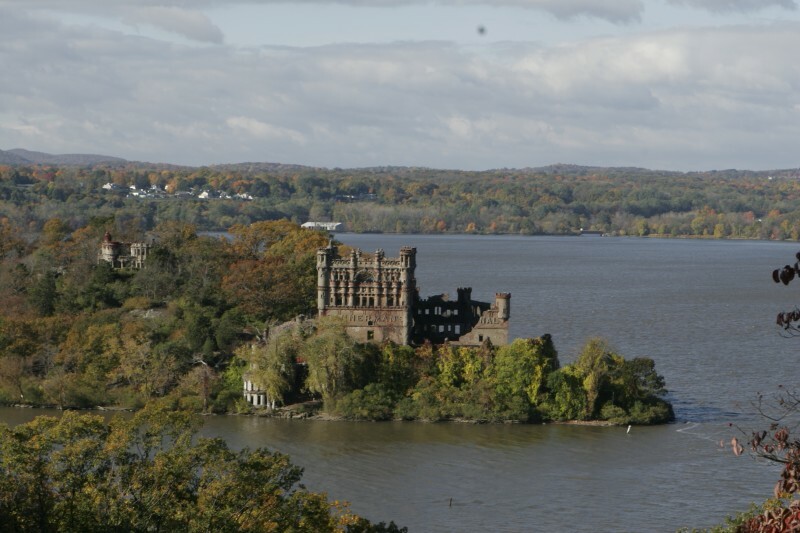 It's called Bannerman's Castle and was built over a century ago as a munitions storage ground; before that, the island itself was part of Revolutionary War strategies to control the Hudson. It may be just outside Beacon, but it's an interesting historical draw for sure. One complaint I would have about Beacon is that not every neighborhood is as nice and quaint as others. Some houses are still on the more run-down side and look uninviting, but overall I would still say the town is safe and on the rise, and issues with crime are rarely heard of locally. Beacon is a fine place to settle down. I know of many who have successfully raised families here in a relatively peaceful environment. "Why settle when you can have the best?" Beacon is my home, and I chose it for the absolutely outstanding feel the town has. It can be challenging to describe the enjoyment I get from Beacon. When I looked into moving to Dutchess County I looked (at least briefly) at almost every town, and I chose Beacon because there's an artistry at play here you don't get from almost any other town in the area. My first experience with Beacon was when I was still living in NYC. 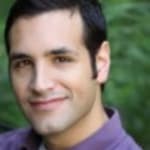 I was thinking about proposing to my girlfriend (now my fiancee!) and I wanted to get away from the loudness of the city to collect my thoughts. A friend suggested I check out Dia Beacon, which is a museum with a lot of interesting art. I suppose I'm more of a traditionalist when it comes to artwork, since I didn't quite understand many of the pieces here, but I took a train out to Beacon one Saturday, and the experience had such an effect on me that after I proposed I convinced my fiancee that we should move out of the city. I got on the train and was take along the Hudson River and through some of the most beautiful scenery I've ever seen. Having grown up in the Midwest, I can say the sight of vast stretches of nature is a welcome sight, especially after years in the city. I'd always been wary of the idea of raising a family in a big city, so going out to the suburbs or finding a small town has always been on my to do list. Beacon turned out the be the place for me. 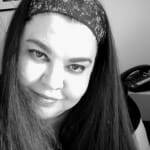 I'm an aspiring novelist, and though I make my money with business writing at the moment, at some point I hope to make my living on books. With it's lively yet small town feel, Beacon was the place for me to get started. But it's not all (as my dad would say) artsy-fartsy stuff. Beacon has plenty of restaurants, bars and coffee shops to keep you entertained for a while. Sure, it's small compared to NYC, but most places are. It's also a billion times safe and quieter. Point is, you won't get bored. Whether you want to go to the Beacon Bagel for some great baked goods, the Bank Square Coffeehouse for a cup of coffee, the Artisan Wine Shop for a few bottles of fine wine or Isamu for a bit of sushi, you'll have a great time getting a bite to eat. Though I don't have children yet I did look into the schools a bit before moving to Beacon, and I was impressed by Rombout Middle School and Beacon High School, which are right nearby one another, and I believe parts (I need to double check this) of Beacon are zoned to go to Balmville Elementary, which is actually on the other side of the Hudson River, but I've heard it's an amazing school. Regardless, I think your kids will learn a lot and have an amazing experience at schools in Beacon. 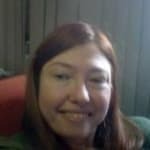 I really love Beacon, and though there are a lot of great places in Dutchess County it is definitely the place for me. I highly recommend it, especially for those who want to have an energetic community that continually grows and gets better. 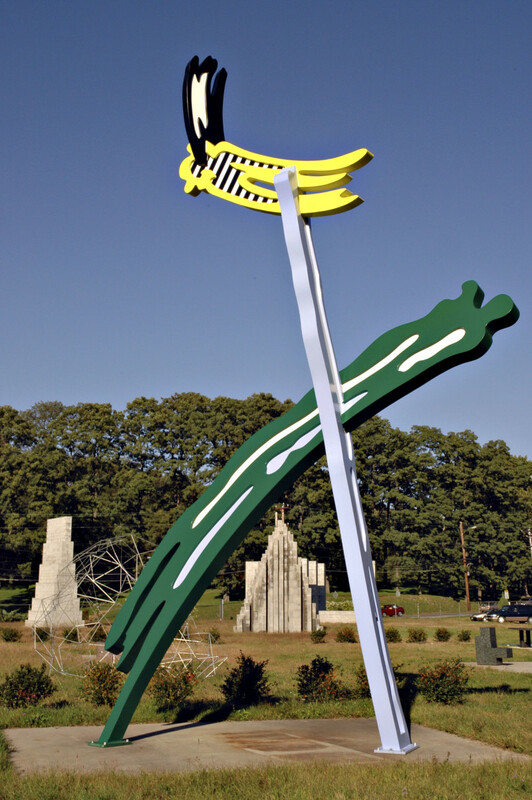 "A bright beacon of delightful possibilities..."
Beacon is a city of about 15,000 folks with a growing arts culture, a charming downtown shopping district, tons of restaurants, great parks, wonderful community spirit and some really interesting history. 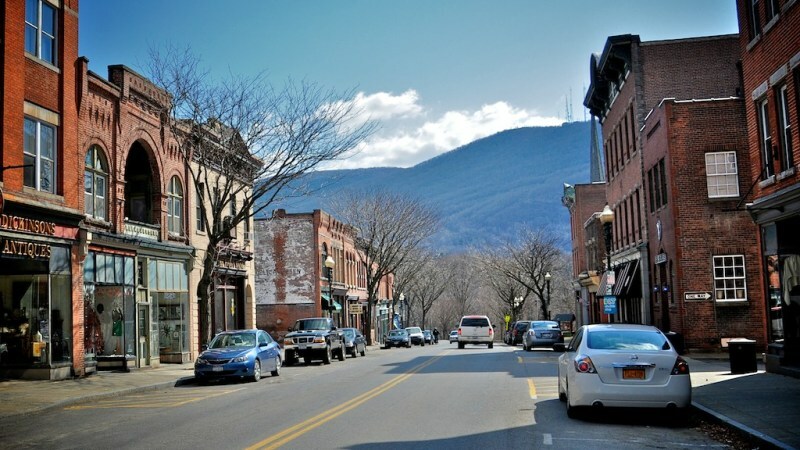 In fact, the city was actually named after the fires once set ablaze atop nearby Beacon Mountain which served as a signal to the Continental Army during the Revolutionary War. Another little known factoid: Beacon was once the hat-making capital of the U.S.! 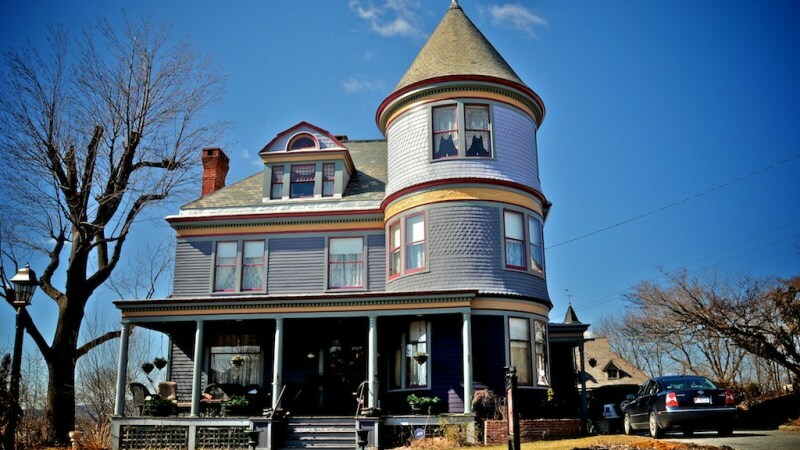 Beacon is filled with gorgeous whimsically colored Victorian homes with wraparound porches, modest to mid size single family houses, condos, town homes and some apartments. The historic Main Street Shopping District is a lovely Italianate old-school red brick shopping district with an eclectic mix of shops including the likes of Dickinsons, an old-fashioned clock shop, Hudson Valley Auctioneers, Blackbird Attic, Echo Boutique with ladies’ fashions, Jaqueline, a hat and handbag boutique, Lauren and Riley, Modern Vintage, The Dance Bag, Batt’s Florists & Sweets, Beacon D'Lites, a soy candle shop, Lady Gray Bridal, Hudson Beach Glass, Beacon Bath and Bubble and Dream in Plastic, to name but a chosen few of the funky places with the beautiful Beacon mountaintop as a backdrop. For more standard shopping, the area is also home to a Rite Aid, a Vogel Pharmacy, wine shoppes, bakeries, a year-round farmer’s market on Sundays, the Beacon Natural Market with its organic fare and goodies, Main Street Grocery, Home Spun Foods, Key Food grocery store, Pinoy Outlet which is an Asian-Fillipino grocery store, several gas stations, bicycle shops and sports equipment stores, hardware stores, auto supply stores and a check cashing place. Notable Beacon culinary destinations include Beacon Falls Café, Texas Lunch, Craftsman Serious Soul Food, Crumb, the Vintage Café, B.J.’s Restaurant, Brother’s Trattoria, Café Amarcord, Cascadas, Cup and Saucer Restaurant and Tea Room, Gate’s Fish and Fries, Isamu, La Tasca, Max’s on Main, River Terrace, The Round House, Tito Santana Taqueria, Virgo’s Sip n Sour Café, Quinn’s Luncheonette, Yankee Clipper Diner, Bank Square Coffeehouse and a whole bunch of pizzerias, deli’s, gourmet gift shops and take-out favorites. The Madam Brett Homestead is the oldest known building in the county and it is on the National Register of Historic Places. Beacon has a flourishing art scene. Dia Beacon is a wonderful contemporary art museum and the Riggio Galleries inside host a collection of some of the finest works from the 1960's on. The Howland Cultural Center, located in a gorgeous Norwegian-style building, has a terrific children’s program, a coffeehouse concert series, a gospel café, a chamber music circle, a spoken word poetry series and the wonderful monthly “Movies at the Howland.” Beacon itself is absolutely laden with art, jewlery and sculpture galleries and studios. Every year the city holds a fun and festive event called "Beacon Barks" which celebrates animal shelters with a dog parade, awards, live music and food. 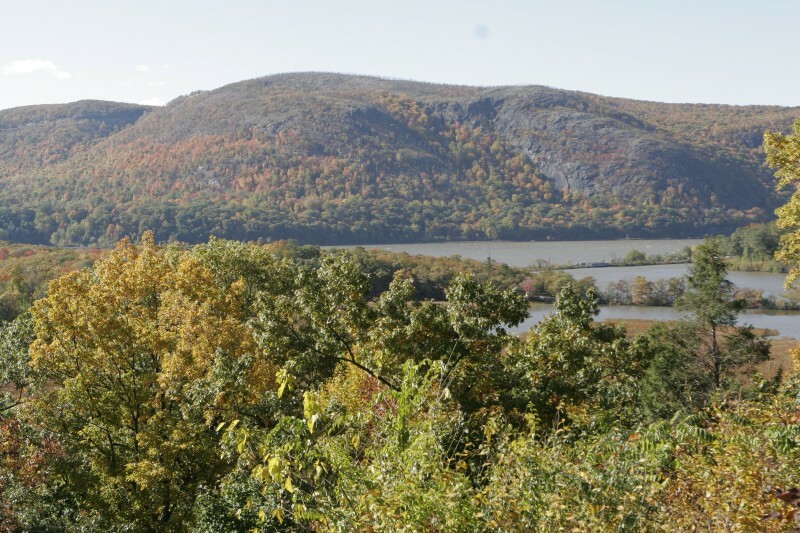 Hudson Highlands State Park is a huge park that includes Mount Beacon. Mount Beacon itself has a terrific trailhead called Fishkill Ridge. Memorial Park in the city center and Riverfront Park at the water’s edge are both very popular and host many wonderful community events. The Beacon River Pool, a partially submerged pool in the Hudson River, is a wildly popular summer destination located in Riverfront Park. 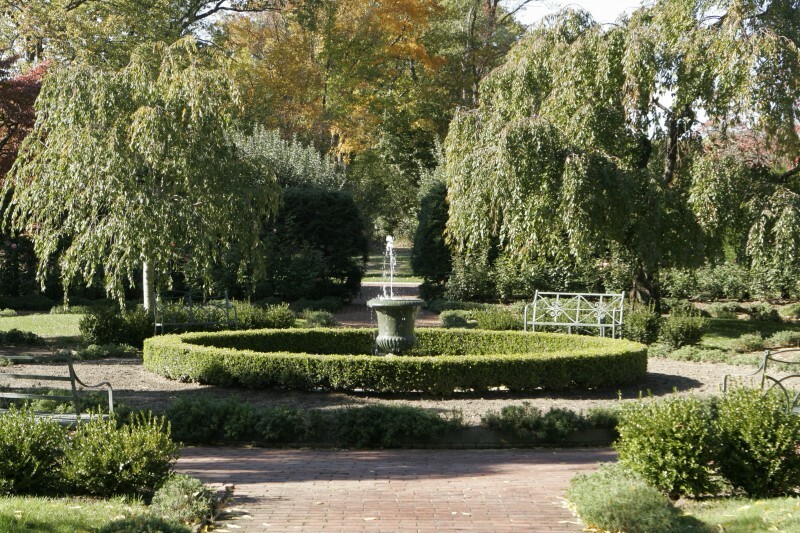 Madame Brett Park is a stunning 12-acre park with a waterfall. Forrestral Park has a nicely sized playground and a basketball court. Beacon does have its own train station on the Metro-North Hudson Line and commute time to NYC is one hour and seventeen minutes to one hour and a half. There is also a ferry that runs from Beacon City Harbor to the Newburgh City Waterfront. There are also two nearby airports: Dutchess County Airport in Wappingers Falls and Stewart International Airport in Newburgh. Beacon students are a part of the Beacon City School District. . The median household income is roughly $45,236. 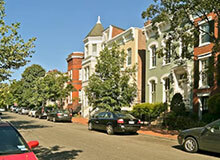 The median home value is around $161,430 and the median rental rate is roughly $1,000. Beacon is definitely more ethnically diverse than many of its Dutchess County compatriots with a substantial Hispanic and African-American population of almost 40%. Beacon is a small city on the border of Putnam and Dutchess Counties. It was once a booming manufacturing town, once known as “the hat making capital of America.” During the 1970s, the beginning of economic decline led to factory closings; by the end of the next decade, eighty percent of the city’s commercial and factor spaces were vacant. 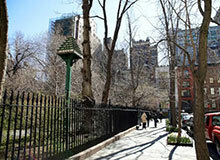 However, the city has been reinventing itself in the last decade as a destination for artists. 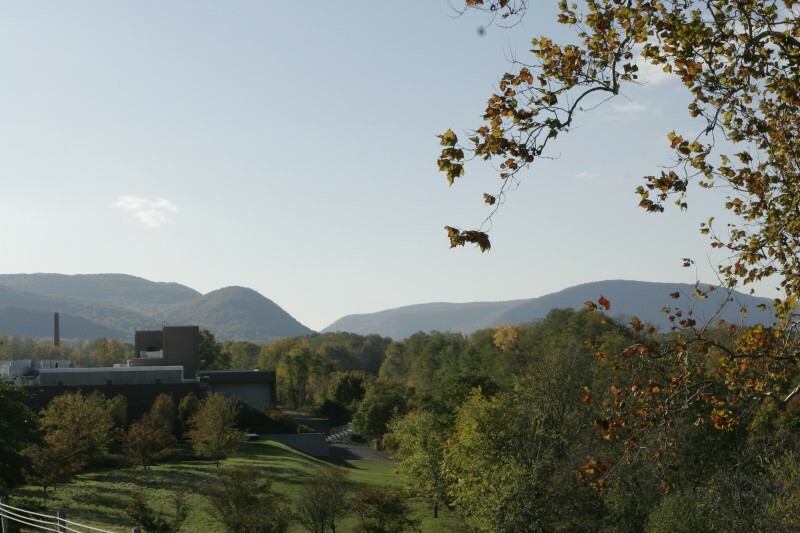 In 2003, Dia:Beacon opened. Dia:Beacon is a 240,000 square foot museum occupying the city’s old Nabisco factory. Its arrival led to a surge of new galleries, stores, restaurants and cafés moving into vacant storefronts along Main Street. People hailing from New York City’s artistic communities were drawn to the town’s resurgence and the affordable real estate. Though there are no big-box stores or movie theaters, Fishkill and Poughkeepsie, just to the north, offer plenty of choices as well as a large mall, the Poughkeepsie Galleria. Commuters will appreciate the proximity of the Beacon Metro North station, which makes the trip to Grand Central in about an hour and twenty minutes. 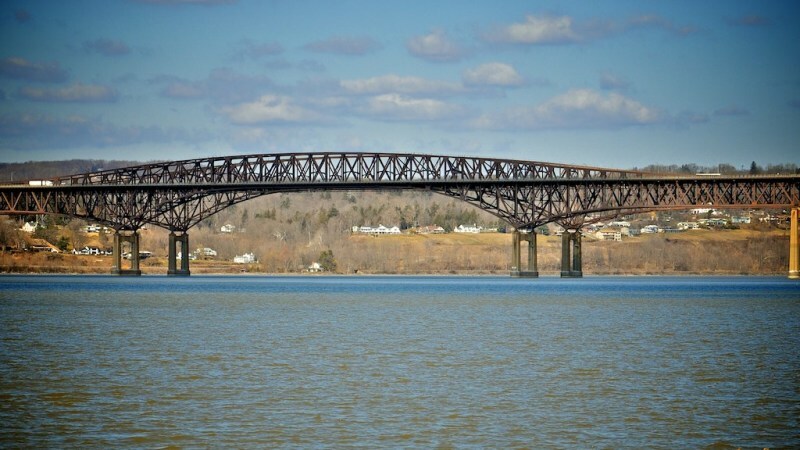 The Newburgh-Beacon Bridge, which crosses the river into Orange County, is minutes away via Interstate 84. The Taconic Parkway is also easily accessible from I-84, leading to points north and south. The Beacon City School District educates about 3,200 students in four elementary schools, one middle school and one high school. New Beacon High School opened in 2002 and replaced the original high school, which had opened in 1913. The new facility has a swimming pool and a large theater. 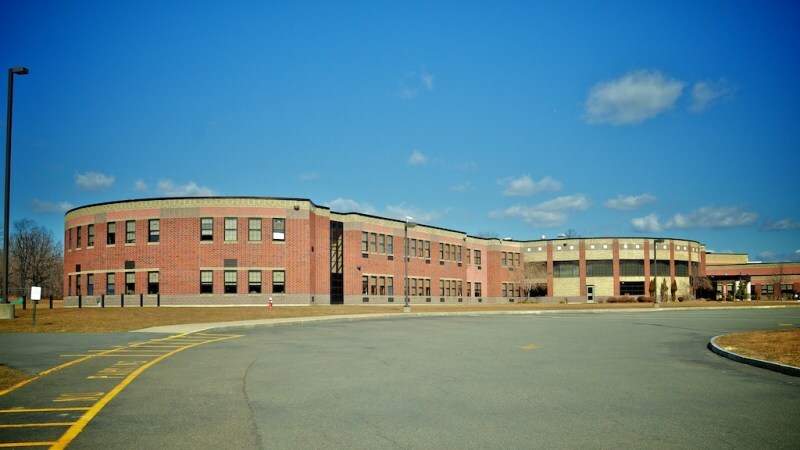 Rombout Middle School also underwent recent renovations and improvements, and offers sports teams and a variety of clubs. 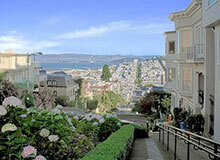 The local real estate market offers a wide range of choices for many budgets. There are inexpensive handyman specials and quaint older homes and cottages. 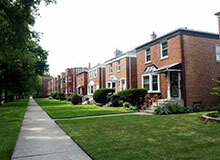 There are large, recently constructed homes and estates. Lofts have become popular as studio and living spaces. The Lofts at Beacon Falls, currently under construction, will provide its owners with open interior spaces and great proximity to Main Street with its galleries and shops. 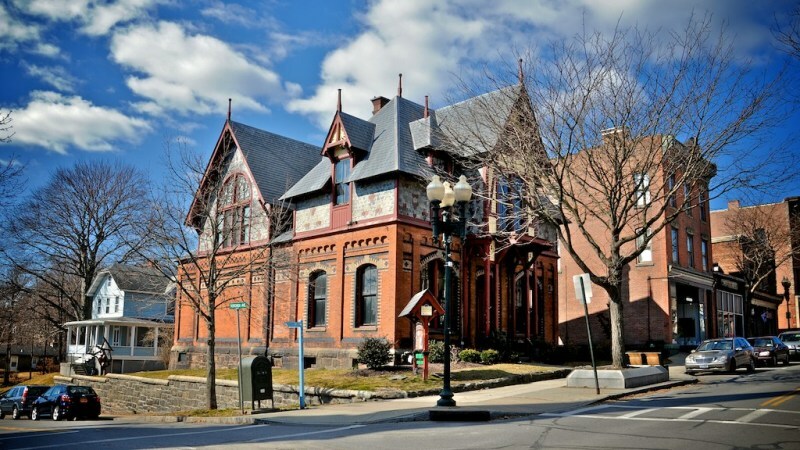 Beacon has fought back against huge economic challenges to become a great destination for art lovers and anyone who appreciates a lovely small city, whether they come for a visit or to stay. A beautiful riverside city in Dutchess County, Beacon sits at the western-most part of Dutchess County running alongside the Hudson River from north to south. Infamous to New York commuters as one of the Newburgh-Beacon Bridge counterparts, Beacon has a rich historical atmosphere as Mount Beacon served as a pivotal outpost during the American Revolution. A great downtown area, a growing arts community and a slew of reenactments and historical activities only add to the vibrant and diverse river-town community. With a population of 15,000+ residents, the city is home to clusters of residential neighborhoods and old-school Victorian-era houses. The media home price runs around $219,000 as of April 2012, which can be ideal for young couples looking to purchase their first home. Scenic views of the Hudson paired with riverfront parks and rolling hills makes Beacon a haven for recreational enthusiasts. It's harbor serves as a launching point for boating on the river and a park that makes for a great day trip on a beautiful spring, summer or fall day. There are a ton of youth and teen recreational programs like baseball, softball, soccer, volleyball, etc. The Beacon Community Center Program for Teens offers Friday evening dances, movies and use of the gym. A couple of the city's aspects that have come into play in recent years is Beacon's arts and ecological communities. The Dia, which has roots in Brooklyn and New York City, is an art museum/gallery that houses pieces from the 1960s to the present. It works closely with Beacon City School District to provide educational opportunities to students. The Beacon Institute for Rivers and Estuaries is a nonprofit organization that advocates for education, research and public policy regarding the interaction between humans and rivers- as of 2011, its expanding its research to have a realtime monitoring system for the Hudson River. 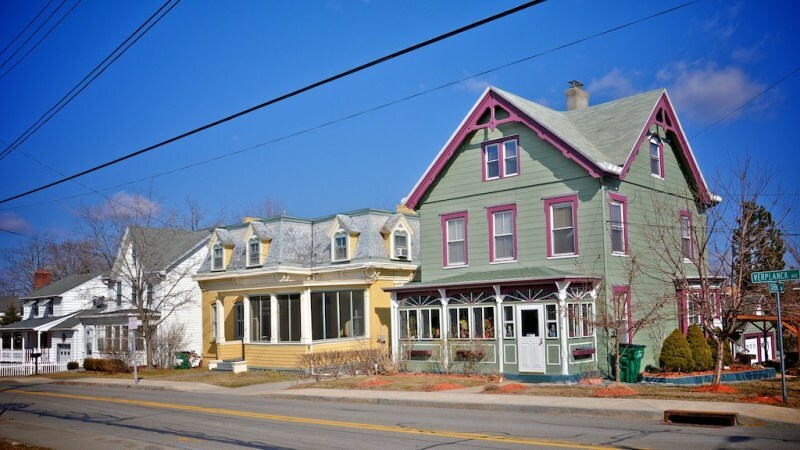 A city once known for its factories, mills and industrial development, Beacon's downtown area has bloomed into a "main street" with local shops, restaurants, coffee houses and collectable/thrift stores. A Metro-North station is an hour or so away from midtown Manhattan, and with unparalleled views of the Hudson River, there may not be a prettier trip in all of the Hudson Valley. Is Beacon a tourist destination? 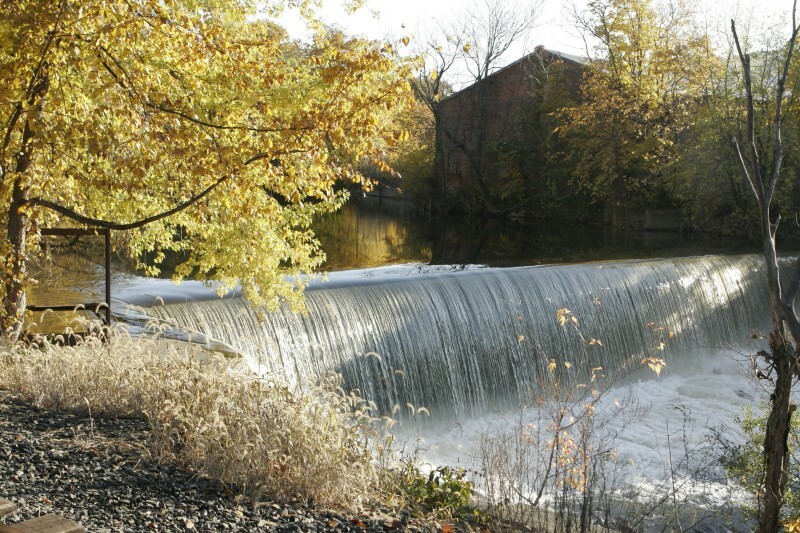 Where is the best place to go swimming in Beacon? What’s the best restaurant in Beacon to spend a romantic evening with a special someone? Are there any apartment complexes in Beacon? How is the school system in Beacon? I am pondering a short term change and would consider living in Beacon for a period of time. 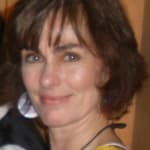 Where are the best places to walk with your dog in/around Beacon? How many Beaconers are on government assistance? Where are some places in Beacon to cheaply fill prescriptions?